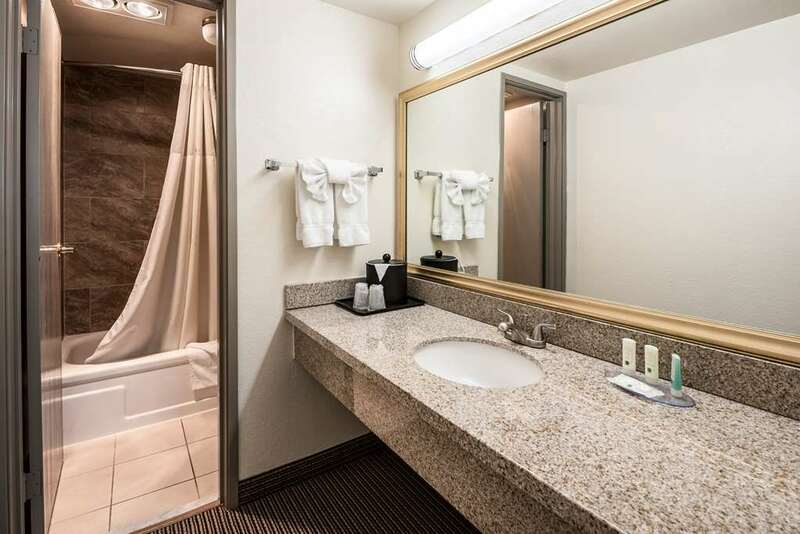 Get more value at the 100 percent smoke-free Quality Inn and Suites hotel in Reno, NV, which lets you relax and focus on the people and experiences that you came for. We are near the RenoSparks Convention Center, National Automobile Museum, Reno Livestock Events Center, and Reno-Tahoe International Airport, for which we have a free shuttle. Additional amenities include free WiFi, free ample parking, free hot breakfast, meeting room, outdoor pool, fitness and business centers. Guest rooms feature a refrigerator, microwave and coffee maker. Also, earn rewards including free nights and gift cards with our Choice Privileges Rewards program.